Alexander Murray (1775 - 1813) was a local shepherd boy who later became Professor of Oriental Languages at Edinburgh University. 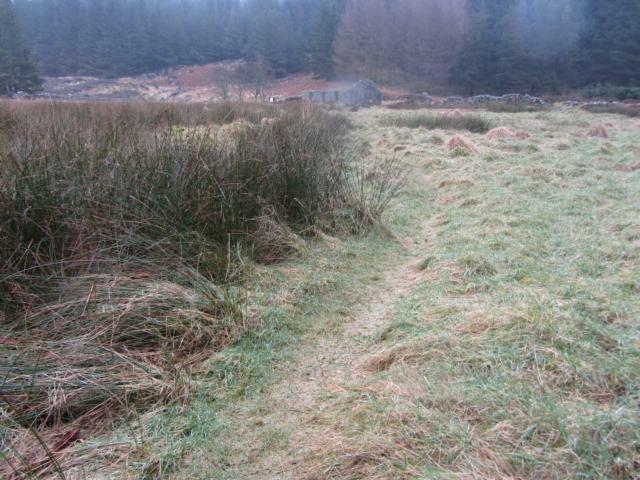 This walk leads to the remains of Dunkitterick Cottage, Murray's birthplace, (NX 5022 7173) which is also near Murray's Monument. 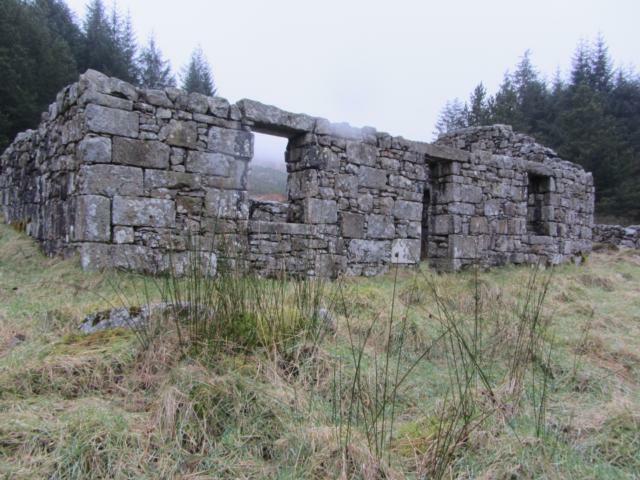 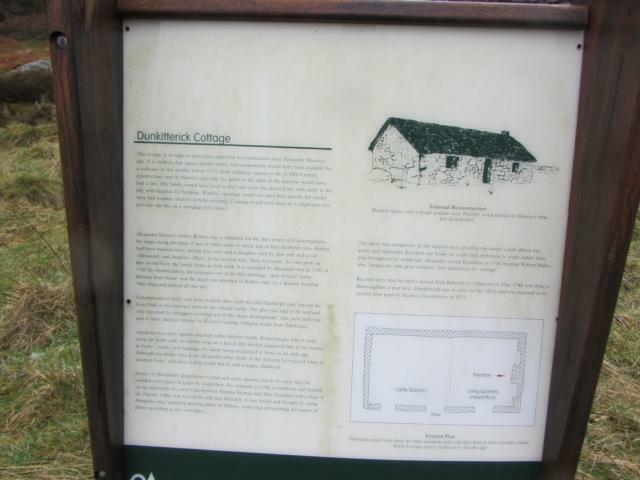 Dunkitterick Cottage is a Scheduled Ancient Monument and for this reason there is no surfaced path on the area of land surrounding the cottage. The approach to the cottage, however, is laid in slate and offers a reasonable level of access. 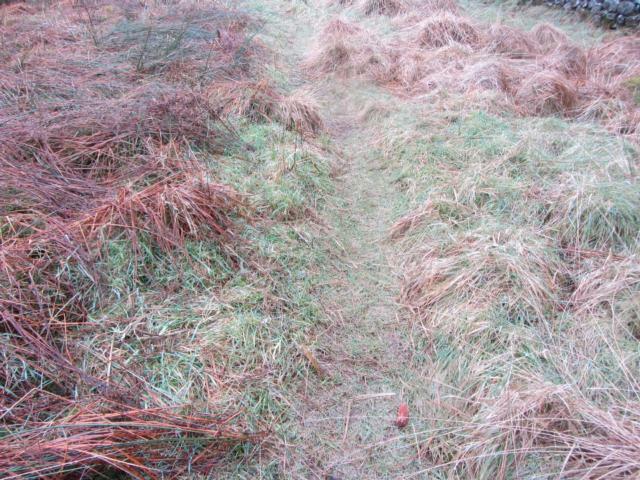 Several moderate gradients were encountered along the route. 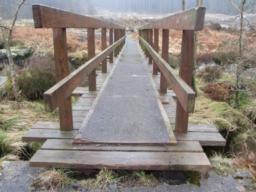 Steps: The path contains step level changes from the path to the footbridge. 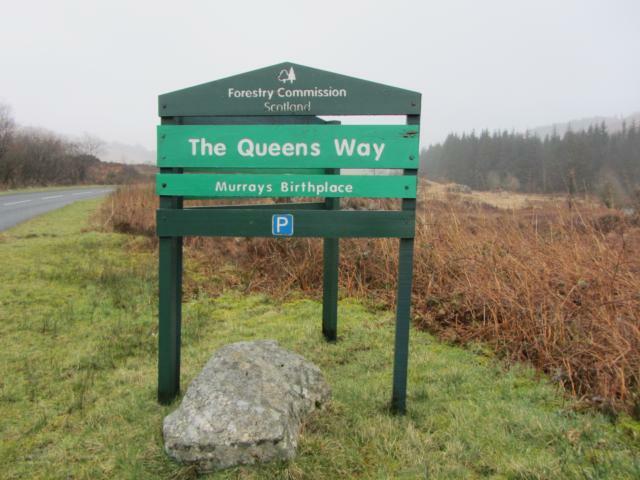 From New Galloway take the A712 through the hills to Newton Stewart. The road passes Clatteringshaws Reservoir and goes through the Queen's Way to this sign, which marks the start of the trail. There is a small car park situated at the start of the trail. 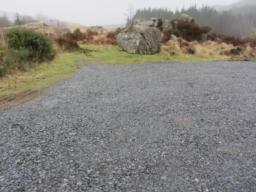 The car park has enough space for about three vehicles. 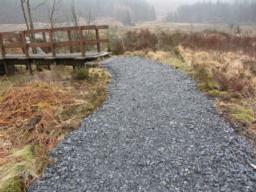 No spaces are reserved for visitors with disabilities. 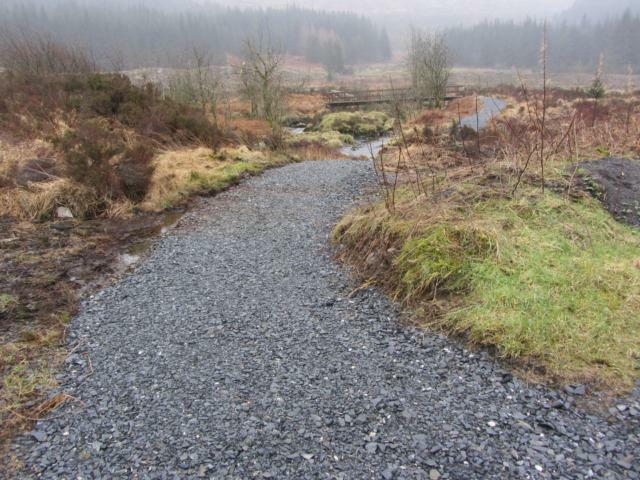 The path is within easy reach of the car park. 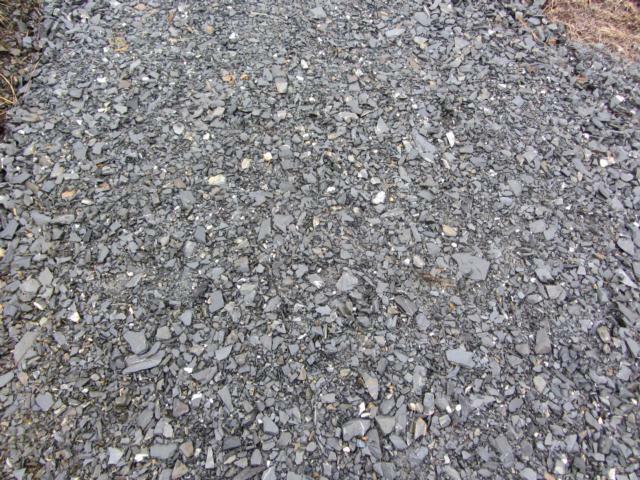 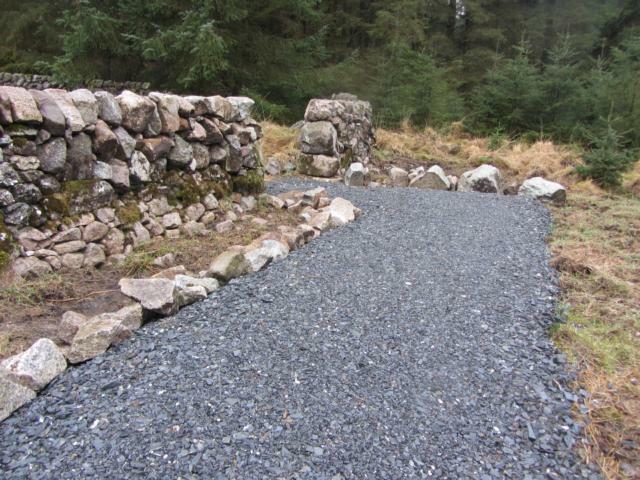 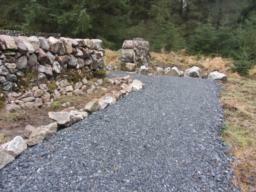 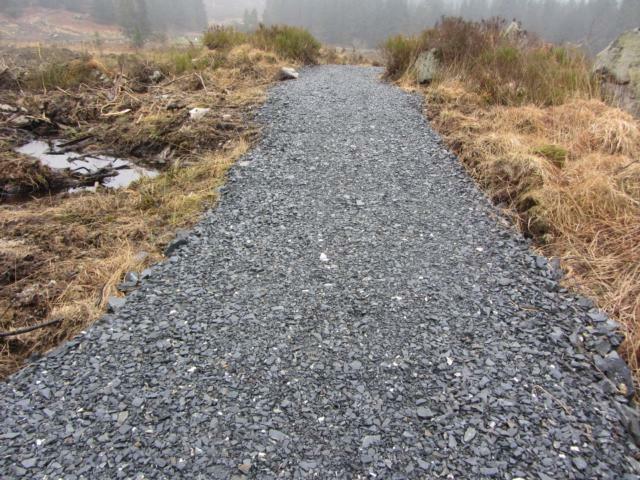 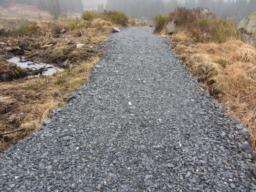 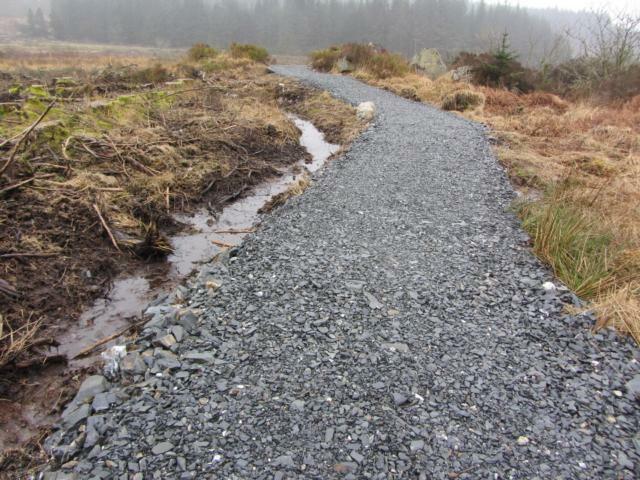 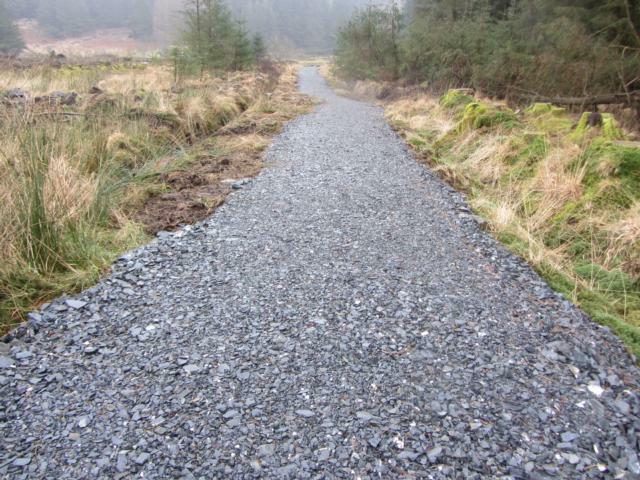 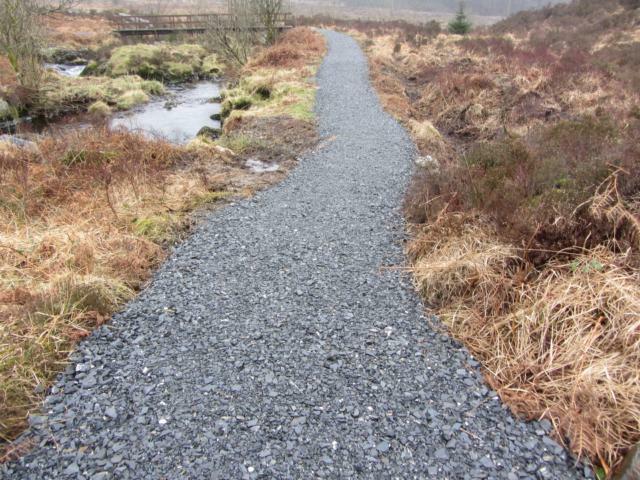 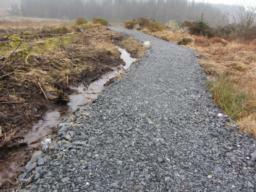 The path surface is made from crushed slate and is about 1.6m wide. 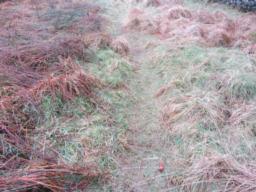 After about 10m the path descends on a moderately steep gradient (18%). The gradient levels off after about 5m. 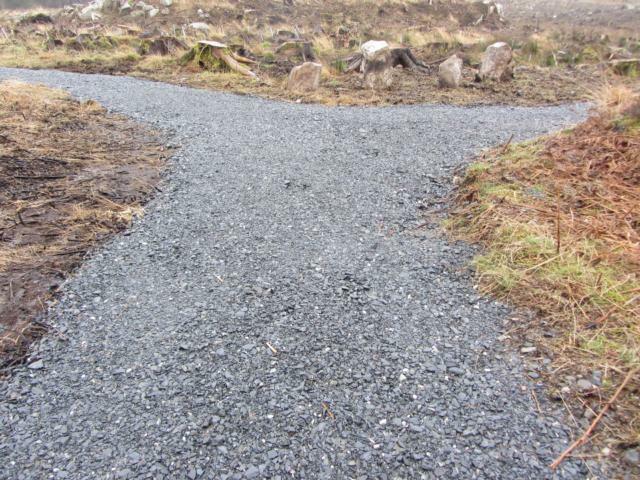 The path also has a camber, or cross slope, from the centre of the path. 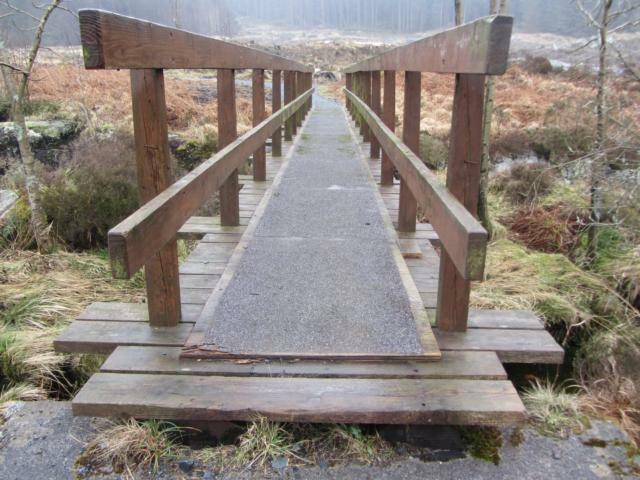 Continue over the footbridge towards Murray's birthplace. 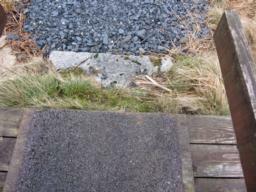 The width between the handrails measured 750mm. 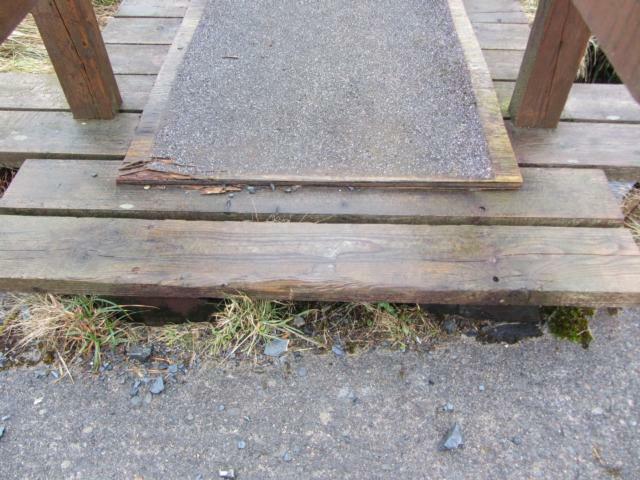 The step (100mm) onto the bridge may be an obstacle for some visitors. 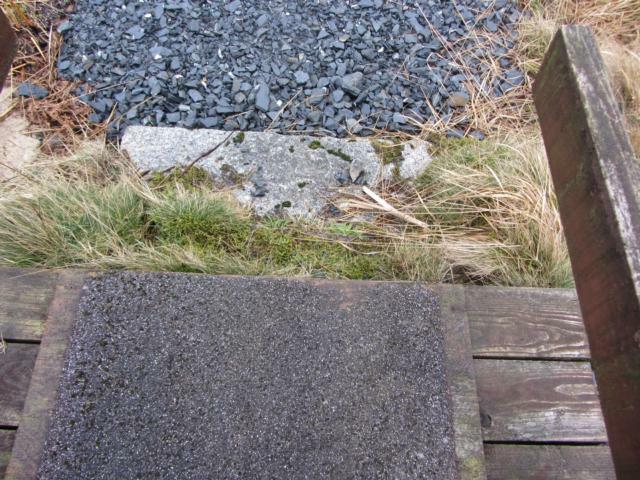 Wheelchair users may require assistance at this point. There is also a step level change (150mm) on the other side of the bridge, leading onto the path. 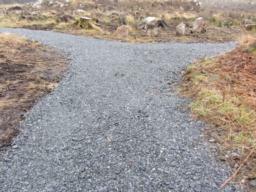 Continue on towards a T-junction and bear right. 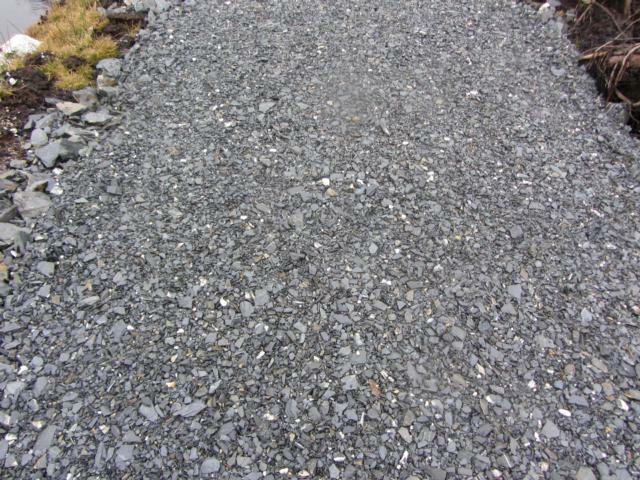 There is another linear gradient (along the direction of travel) recorded at 12% (1:8). 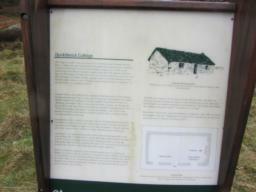 This was not as pronounced as at the beginning of the trail. 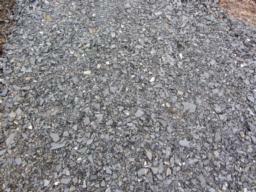 The gradient increases again, this time reaching 19% (1:5). 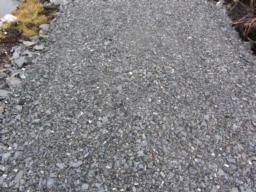 This was the steepest gradient recorded along the trail. 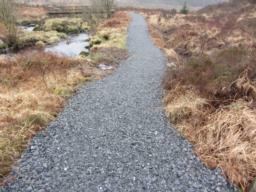 The path gradient then becomes more level. There are no formal seating areas along the route. 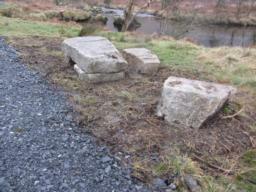 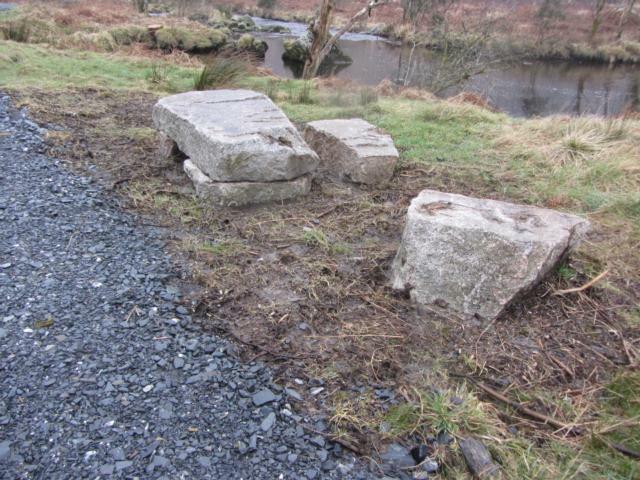 However, boulders placed alongside the path are makeshift resting points. There are no formal seating areas along the route. 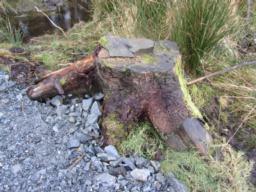 However, tree stumps placed alongside the path are makeshift resting points. 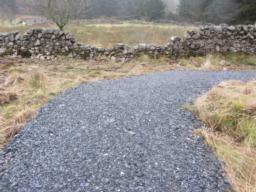 The path follows a long straight section and heads directly towards Murray's Birthplace. 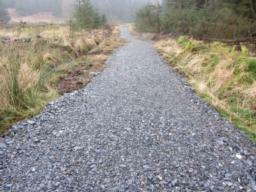 The surfaced path continues for another 20m. 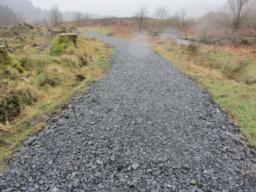 The surfaced path ends at the edge of the area that has been designated as a Scheduled Ancient Monument. 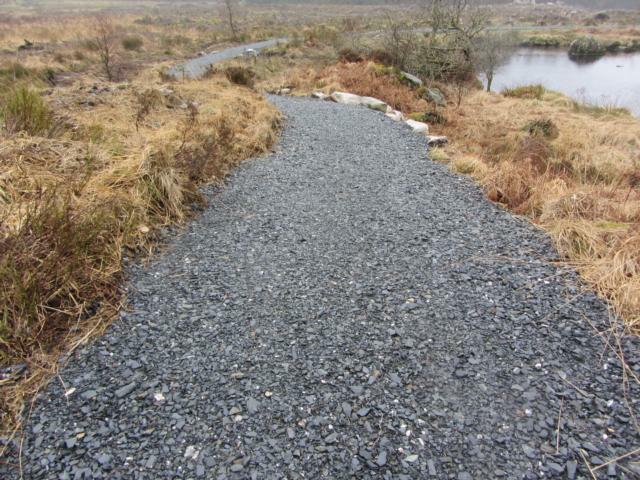 From here an un-surfaced path leads towards Murray's Birthplace. 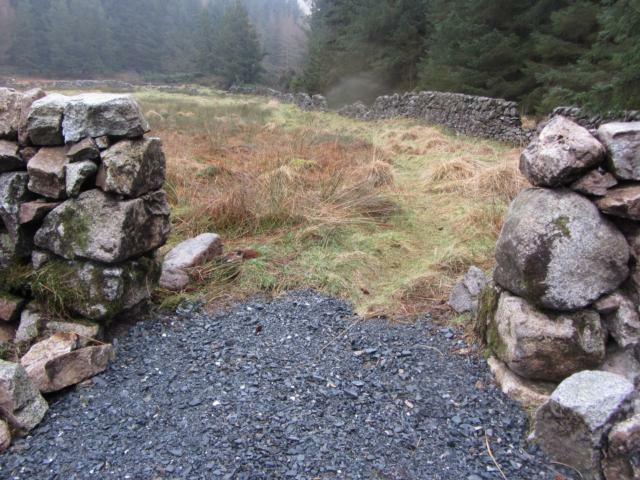 The path leading to Murray's Birthplace is unsuitable for wheelchairs. 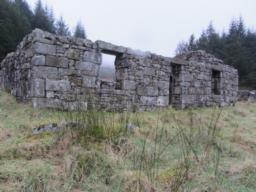 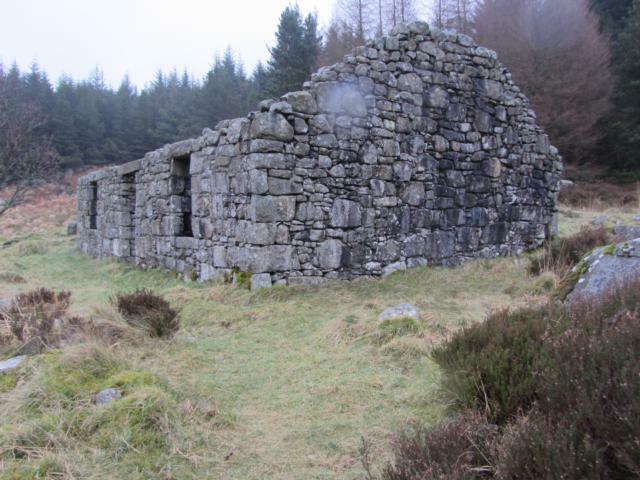 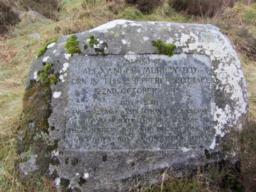 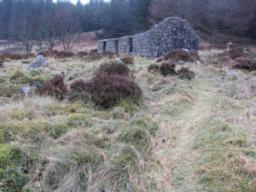 The cottage is commemorated by an inscribed boulder erected in 1975 by the Galloway Association of Glasgow.